Green Valley Pecan Company is a leader in providing the highest quality pecans to the market. Our wholesale division works to serve our customers with specialized attention. If you are looking to purchase 1500 lbs (1 pallet of 50 cases) or more in a year, please contact the Green Valley Pecan Company’s wholesale division at (520) 791-2852. 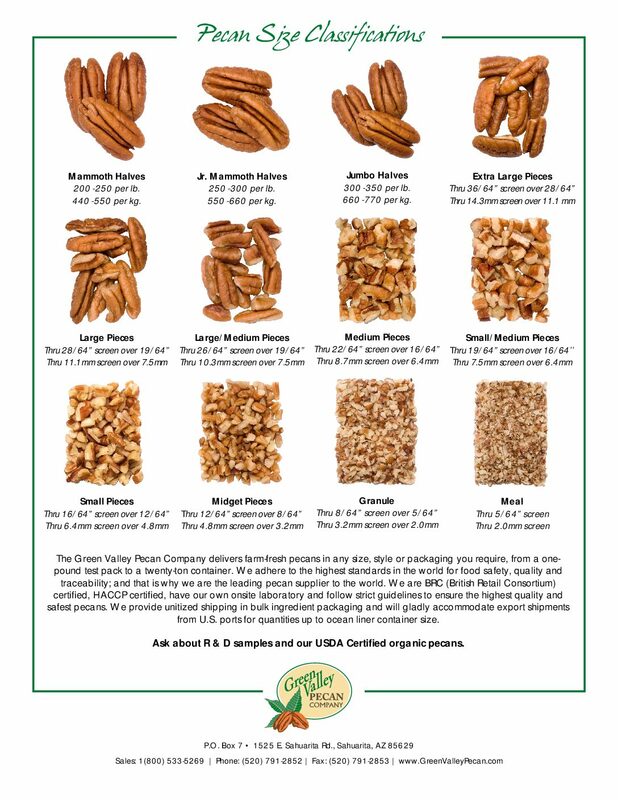 If you are a retailer, bakery or confectioner that uses less than 1500 lbs a year, please contact the Pecan Store’s wholesale division at (520) 791-2062.